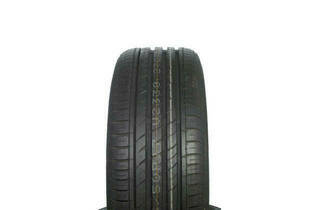 Snapshot: The Nexen N'Fera SU1 is an asymmetric tyre with a speed rating of 270km/h. But how well does it corner and brake in the wet and dry? 06 Mar 2018, Simon D.
I bought the car new and it was fitted with Pirelli Eurforia Run-flat tyres which were very poor to drive on- terrible bump-steer. At approximately 28,000km I changed all four of the tyres to the Nexen N'FERA SU1 215-45-R17. The bump-steer has disappeared, the handling is superb, and the ride is very nice. these tyres give very good feed-back to the driver, are very responsive and give my car a solid go-cart feel as it is supposed to have. None so far, not having space in the MINI Cooper-S for a spare tyre, I carry a small pressurised paint-ball air cylinder complete with tyre inflator fitting, and a Tyre-Pando for puctures.